WHAT: Neighborhood bar, happening music venue and beer’s best friend posing as an English Pub. Don’t let the exterior of Yeoman’s fool you – this pub isn’t all Fish and Chips. Behind that sticker-covered glass lies good food, good beer and even better people. WHEN: When you want to see your name painted on a wooden plaque and nailed to the wall of your favorite local pub. Yeoman’s runs a drinking challenge year round. Drink 90 different beers in 90 days and have your name added to the Wall of Foam. Sounds easy until you run into some of the heavy hitter bottles with alcohol contents of 11 and 12 percent. WHY: Because something it’s nice to let your hair down. 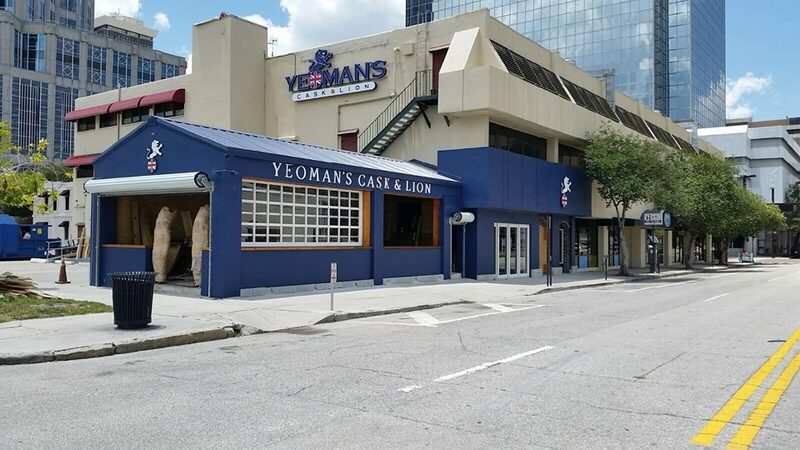 It can be exhausting trying to keep up with all the styles and trends of South Tampa, so it’s nice to have a place like Yeoman’s where you can kick back, relax and come as you really are. WHO (To Take With You): Your friend that wants to be in a band. Many local musicians made their debut into Tampa’s music scene at Yeoman’s Tuesday Open Mic. Voted the Best of the Bay for Open Mic Night, the event has produced a number of well known musical acts that frequently return to Yeo’s stage as full ensembles for live performances on Thursdays, Fridays and Saturdays.